American Queen Steamboat Company has released its 2018 deluxe brochure. The full-color 100 page brochure includes itineraries and river cruise offerings for the seventh season of the cruise line and its American Queen, American Empress and new American Duchess riverboats. 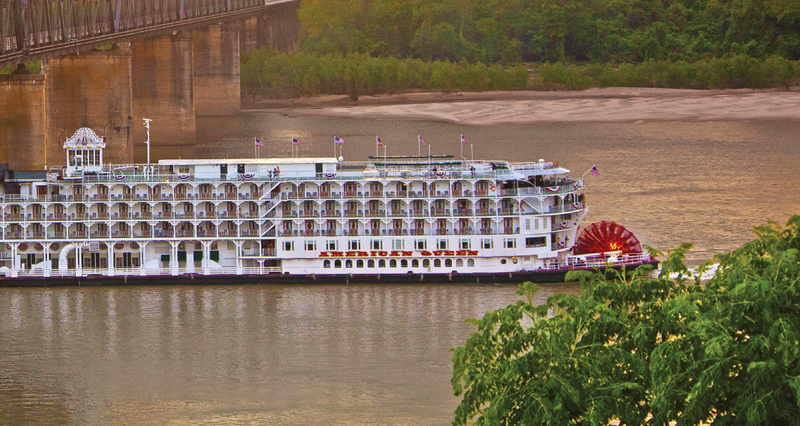 · New American Duchess itineraries on the Ohio, Tennessee and Cumberland Rivers as well as on the Upper & Lower Mississippi and Illinois River including a nine-day Kentucky Derby-focused itinerary from Louisville, Ky. to Cincinnati, Ohio. Other new itineraries include Cincinnati, Ohio to Memphis, Tn., Louisville, Ky. to Pittsburgh, Pa. and vice versa, and Nashville, Tn. to Chattanooga, Tn. and vice versa. · The American Queen will gain five family suites for the 2018 season – created by combining five existing suites with five inside rooms – the larger dimensions are the ideal choice for families and friends cruising together. This is in addition to the four larger suites created for the start of the 2017 season. All nine suites sleep up to four people. · Pacific Northwest Adventure theme cruises on the American Empress offer soft-adventure activities that appeal to guests of all ages, making it the ideal choice for a phenomenal summer family vacation. Enticing shore excursions, such as a tandem ride on a kayak or zip-lining through towering trees, highlight the beautiful terrain and one-of-a-kind experiences that nature has to offer in this captivating corner of America. American Queen’s UK representative Rupert Thomson said: “The latest American Queen Steamboat Company brochure highlights the authentic American experience offered by the company on its soon, with the introduction of the American Duchess, to be three traditional style river paddle wheelers. There really is nothing like it in terms of cuisine, hospitality, extraordinary entertainment, and unique experiences ashore. Inspired by the great steamboats of the 19th century, travelling aboard the American Queen, American Empress and American Duchess allows guests to relive the experience of a previous generation but with modern amenities.